Few people are aware that Czechoslovak independence was declared in the US, in Philadelphia on October 26, 1918. Tomas Masaryk produced a unity declaration in Pittsburgh in which Czechs and Slovaks pledged cooperation in an independent state. The word “Czecho-Slovakia” came into being. Independence did not assure lasting freedom for Czechs and Slovaks. In 1938, they endured six years of Nazi rule. In 1948, a Soviet-backed coup resulted in 41 years of communist dictatorship. Now, in 2018, Czechs and Slovaks have emerged into what is already 29 years of freedom. They are members of NATO and the European Union. Few people are aware that Czechoslovak independence was declared from Philadelphia 100 years ago. Implausible though that seems, Tomas Masaryk, the father of the new state, was in the United States at the time. He was seeking support from U.S. President Woodrow Wilson as the first World War was winding down. Masaryk spent six months in the United States where he assiduously promoted Slavic unity within exile communities. He met three times with President Wilson. On May 30th, 1918, Masaryk produced a unity declaration in Pittsburgh in which Czechs and Slovaks pledged cooperation in an independent state. The word “Czecho-Slovakia” came into being. Before the Pittsburgh event, bilateral ties between the constituent parts of the new nation were weak. During 300 years of Hapsburg dominion, Slovaks were ruled from Hungary, while Bohemia and Moravia were administered from Vienna. Masaryk was a skilled networker. Before he went to work on Wilson, he had persuaded the British and French to endorse the concept of Czechoslovak independence. It was a very gutsy assertion, considering that the Czech army was in Russia, its national council in Paris – and the Czech lands still part of Austria. Masaryk’s priority was obtaining independence before any peace conference would take place. He feared the victors would redraw the map of Europe in a way unfavorable to Czechs and Slovaks. When the Austrians split with Germany in October 1918 and proposed negotiations to decentralize decision-making within the monarchy, Masaryk turned his independence campaign into overdrive. He was adamant that the Austro-Hungarian empire must be abolished. That is how it came about that, on October 26, 1918, Masaryk declared Czechoslovak independence in Philadelphia. Its text closely modeled on its American precursor. 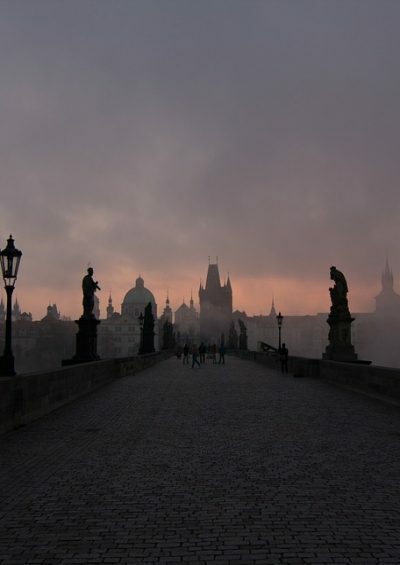 Independence was similarly declared two days later in Prague. While still in America awaiting a ship home, Masaryk was elected president by the national assembly in Prague. to become personally involved in the peace conference that was to be convened. He feared Wilson’s lofty moral stature would be tarnished in rough and tumble negotiations. During six months of map making in Paris, Wilson was gradually chewed up. It became clear that Wilson’s call for self-determination would apply only to victors, not vanquished. Hungary, for example, would lose two-thirds of its territory and population to new states. Proposals for a Danubian federation that included Austria were still-born as Czechoslovakia was already free. John Maynard Keynes, part of the British delegation in Paris, called Wilson, “a blind man unbelievably out of touch with the reality of things.” The punitive Versailles Treaty that imposed reparations on Germany, he argued, was wicked and invited future conflict. Despite shortcomings and Wilson’s failure to win congressional support for his league of nations, his good intentions won him the Nobel Peace Prize in 1920. Wilson died a broken man in 1924. Independence, of course, did not assure lasting freedom for Czechs and Slovaks. After the Munich conference in 1938, they endured six years of Nazi rule. Then, in 1948, a Soviet-backed coup resulted in 41 years of communist dictatorship. During that time, Masaryk’s achievement was downplayed and his name seldom mentioned. His stature was restored only after the 1989 velvet revolution. But the merged entity, Masaryk’s crowning achievement, expired with the 1993 “velvet divorce.” Despite the separation, the two nations remain allies and best friends, and Slovaks no longer complain of being dominated by Czechs and run from Prague.